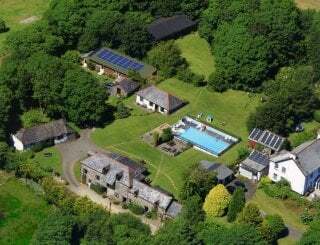 Lane Barton Leisure Barn, Woolsery, Bideford, Devon, sleeps 2-42 in 15 bedrooms. 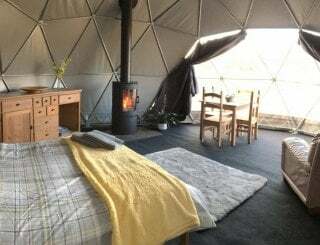 The Leisure Barn is available as an all weather glamping experience to accommodate 30 people. 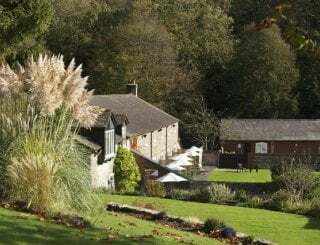 For larger parties there are also 3 converted farm cottages sleeping a further 12 with extra futons also available, and when booking the cottages there are two hot tubs available as well. 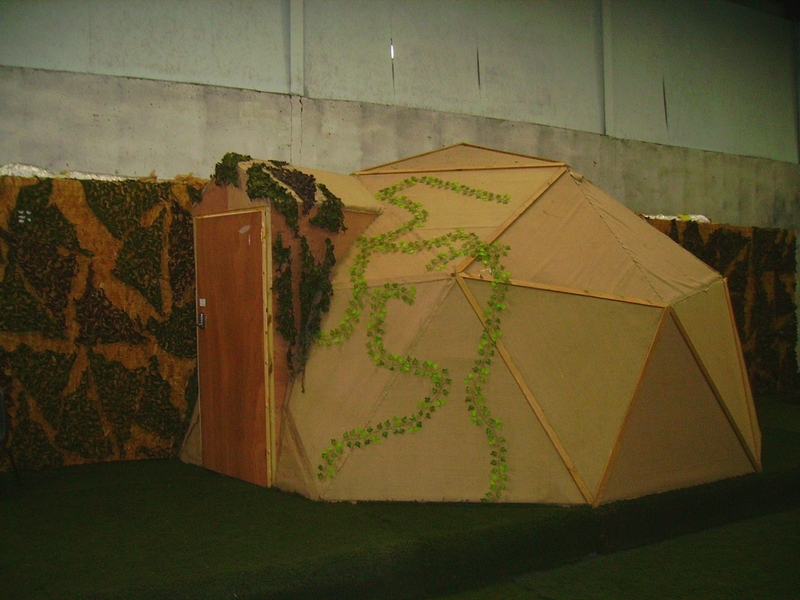 A group of 32 can eat together in the Leisure Barn dining room, and bigger groups can dine together on the astroturf. 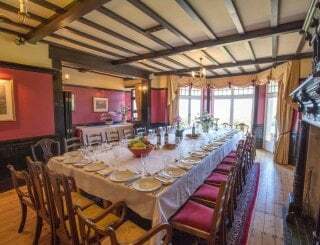 This makes Lane Barton a great venue for reunions, parties and celebrations with friends and family. 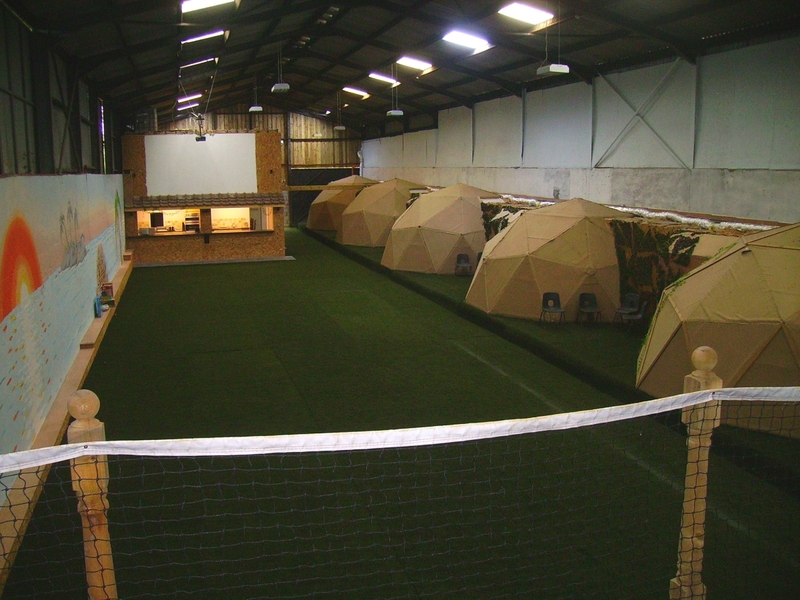 The Barn has a large astroturf games area approx 9m x 30m suitable for a lot of lawn games croquet, badminton, putting, footy, table tennis or even lawn tennis. Lots of games available in a store room along with a few bikes to explore the area. Projector and large screen makes it attractive to school and scout groups for presentations and tutorials. A Bluray player and 5.1 sound system can fill the Barn well for dancing and parties. Kitchen has 2 large panels that will remove to create a bar for food and drink accessible from the dining area or the astro turf area. 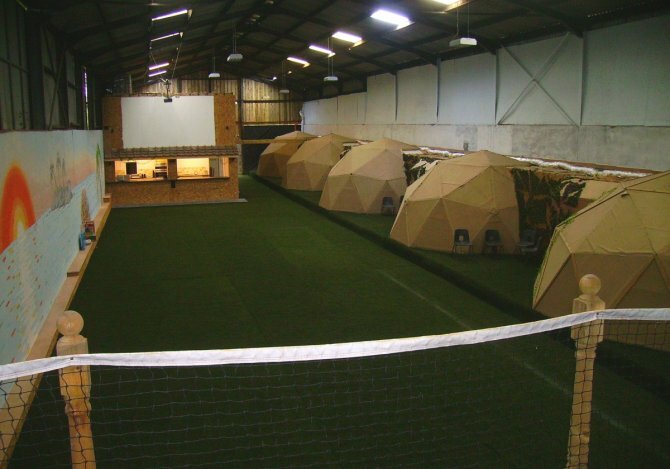 Store room also doubles as a stage for music or entertainment or for quieter times, tables and chairs can give a good viewing gallery to games on the astroturf. There is a large grassed area outside the Barn for barbecues and soaking up the sun. 6 acres of grazed land available for use on request and lots more fields to walk the dog or explore. 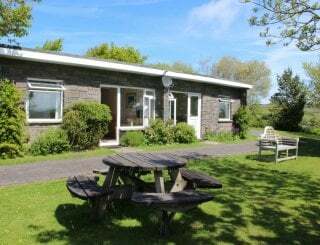 Lane Barton is situated 2 miles inland from the A39 North Devon coast road just 3 miles from Clovelly, a must see fishing village with all its old charm. Also many sandy beaches within a short drive and miles of coastline to walk. 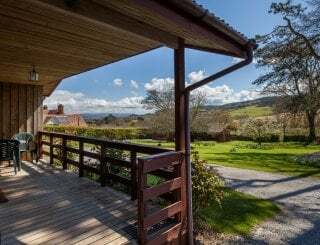 Set in a quiet rural location with peace and quiet but close enough to enjoy many of North Devon's attractions. The Milky Way Adventure Park and The Big Sheep are just a short drive away, market towns of Bideford and Holsworthy only a few miles away. For the more adventurous most water sports are available, and also paintballing, archery, horse riding. 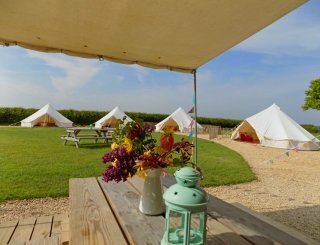 A fully equipped kitchen suitable for catering larger groups with 2 ovens, 2 hobs, 2 fridges, 2 sinks, freezer, dishwasher, microwave. 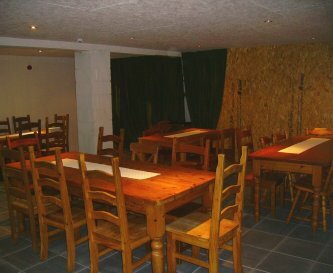 Large dining area suitable to sit 32. 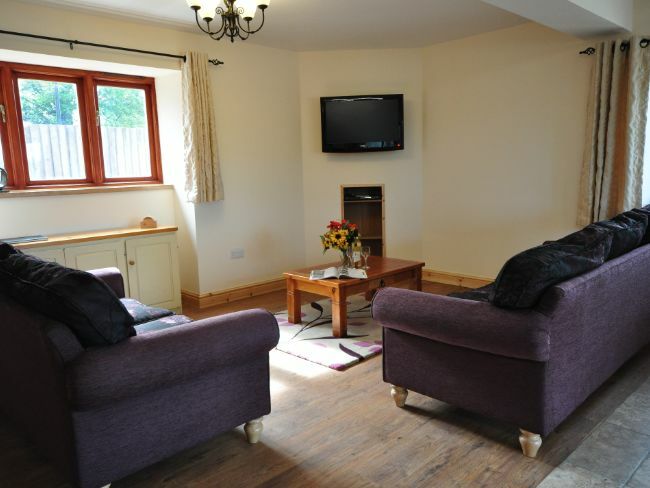 Convenient for parties of 20+ when booking the cottages as well. Next to kitchen with serving hatches. 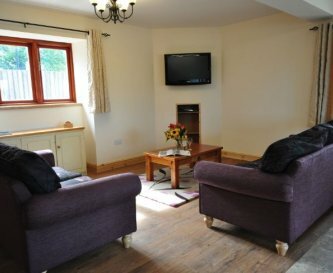 Quiet sitting room with smaller TV, settees and chairs to sit 17. Another sitting room seating 13 is also available. 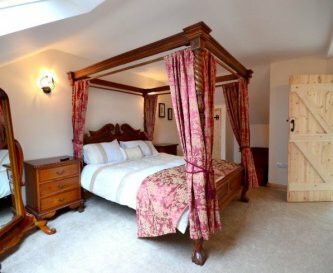 32" TVs in sitting room and dining room, large projection screen 5m across on the astro turf for the complete experience. 5.1 surround sound also. Mobile signals vary according to supplier probably O2 and Vodaphone as good as any. WiFi available throughout the Barn. No landline in the Barn. 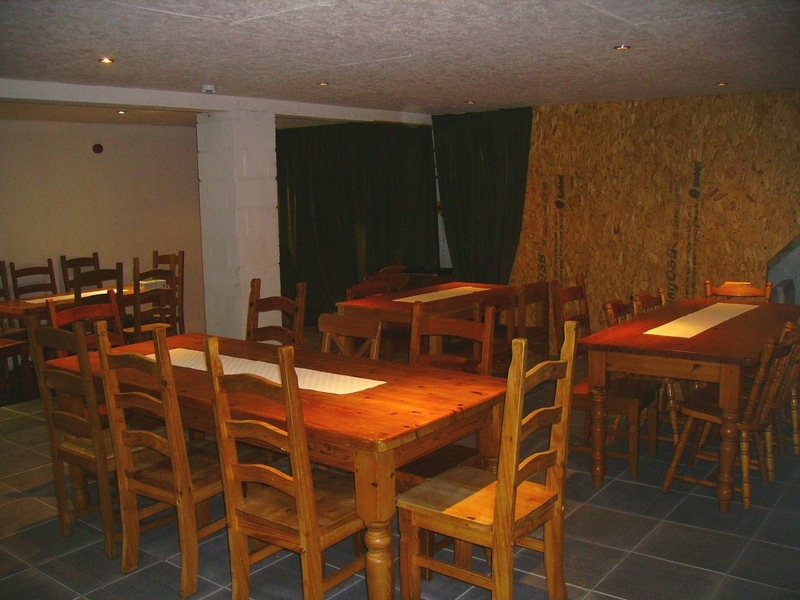 Massive indoor games area approx 9m x 30m suitable for table tennis, badminton, croquet and anything else you can think of. Also great for parties ! Underfloor heating in bedroom pods, storage heaters in dining area and sitting room. Games area unheated. 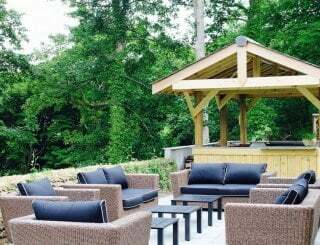 Barbecue and garden area outside. 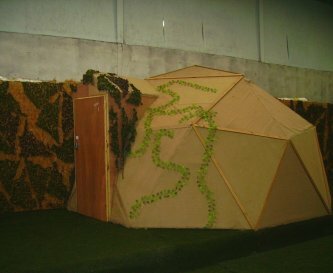 5 pods in Barn, each with 4 singles (or 2 singles and zip/link superking), en suite shower, WC. 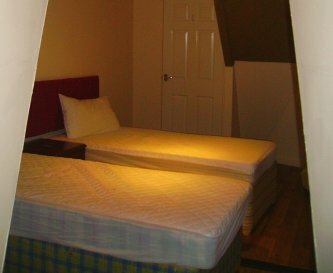 3 upstairs bedrooms sleeping 4 or 2, with zip/link. 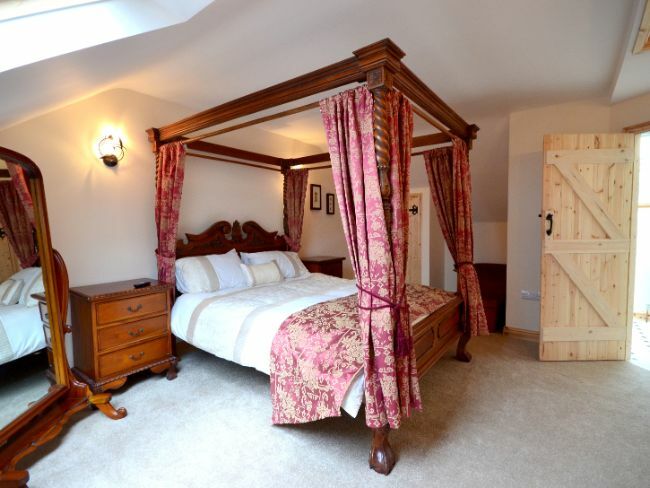 All bedding requirements supplied. No towels supplied. Washing machine and laundry facilities available on site. 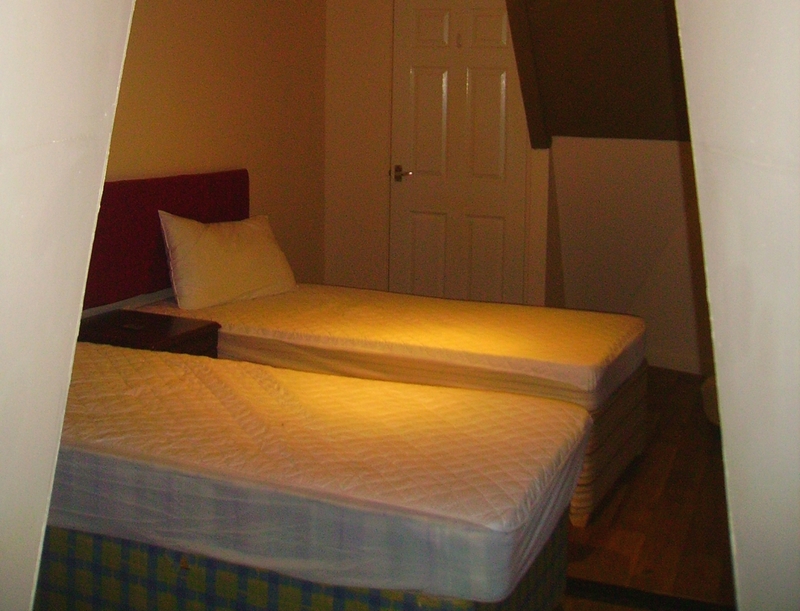 En suite WC and shower facilities in each bedroom pod and two extra WCs available within the complex. Contact us to discuss requirements and available facilities. Garden games, table tennis and lots of fields to let off steam. A selection of bikes for the young( at heart ) to ride on the astro turf or outside. Garden area with patio table and chairs. Barbecue. Six acre field next to The Barn for games or overflow camping! 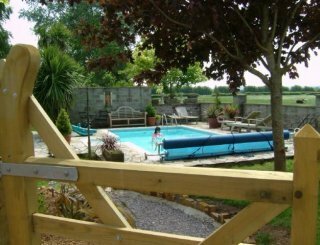 No pool available on site but a good splash pool available in Bude with wave machine and water shute. A no smoking policy thoughout the Barn but a small area at the end is suitable and also in the garden area. We accept a small number of pets by prior arrangement. Charges of £20/wk (£5/day) for dogs, smaller animal charges applied accordingly on request. Bideford (The Little White Town ) - known for it's old long bridge where no two arches are the same size! Mini Mart in Woolsery Village 1 mile from the property, just 15 minute walk. Nearest supermarket in Bideford, 9 miles. 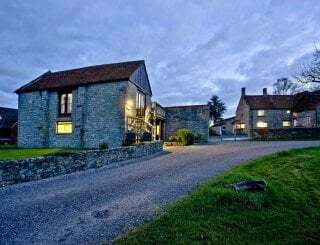 The Bell Inn at Parkham, 3 miles, The Hoops Inn at Horns Cross on the A39, 4 miles. Book from any day of the week, departure by 10. Minimum rates are for 10 people in the Barn. Groups between 10 and 20 please see our website for more info. 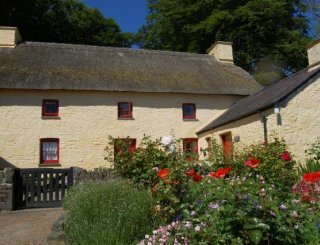 For larger groups wishing to book the Cottages as well please contact us for details. In this case a well advanced booking is advisable. Bus stop in Woolsery Village by the Green, 1 mile. Exeter International Airport, 60 miles. Nearest private airfield, 2 miles.